Despite key differences in emphasis, actions by private interests are more or less present in most accounts of European integration. 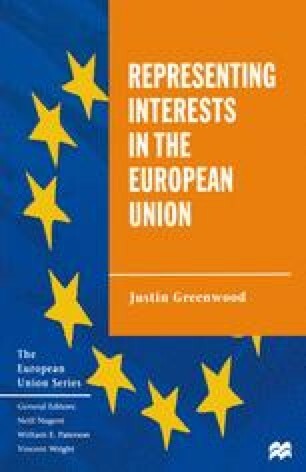 Rather than the artificially polarised debate of previous years between neofunctionalist and international relations perspectives on the integration process, considered below, more recent offerings have created some degree of awareness that a range of ideas are partial to explain the realities, dynamics and complexities of European integration (O’Neill, 1996). There is also now some agreement among authors associated with one or other of the classical traditions that an emphasis upon the role of states (international relations), and supranational ‘institutionalist’ dynamics (neofunctionalism), in the integration process need not be mutually exclusive (Keohane and Hoffman, 1990; Sandholtz, 1993). Most modern accounts of the integration process draw from both traditions rather than exclusively from one.